Although the iPhone’s ‘s’ models aren’t normally as hype-worthy as the full version upgrades, one thing you can always expect out of them is top notch performance. This year’s iPhone 6s, however, has the special honor of being as powerful as one of Apple’s newest laptops, the 2015 MacBook. John Gruber from Daring Fireball benchmarked the iPhone 6S using Geerkbench 3, a multi-platform testing tool designed to measure overall computer performance. 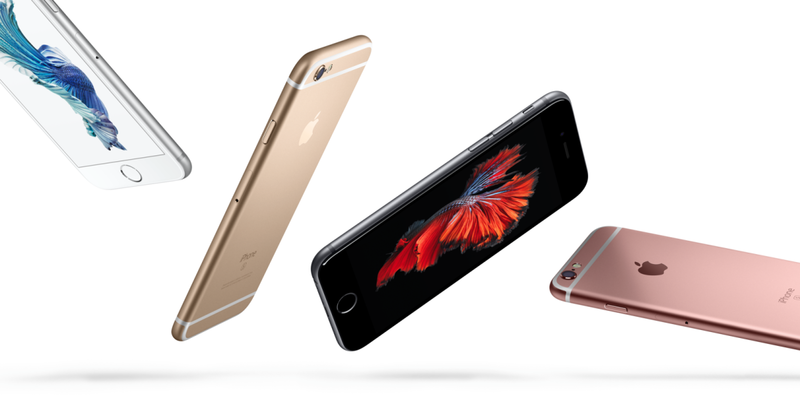 The single-core scores are comparable or better for the iPhone 6 across the board. Multi-core is a bit more in favor of the MacBooks, but the iPhone remains closely matched across the board. In any case, Gruber argues single-core performance is more vital to your everyday perception of smoothness. For comparison, the Galaxy Note 5 – the most powerful Android device currently available – ‘only’ scores 1431 for single core performance, although it fares better with a 4717 multi-core run. The original iPhone 6 scored 1610 on single-core tests and 2890 for multi-core. Of course, there’s a lot more to performance than a single test, and the 2015 Macbook was never huge on specs, but it’s nonetheless an eye-opening comparison. It’s also showcase for Apple’s own processor designs, which have inched closer to the Intel ones in its laptops with every generation – and now may even outperform them. Give Apple’s penchant for keeping hardware under tight control, it’s not a stretch to image Apple favoring the development of its mobile devices over laptop and desktop ones. Apple claims the iPad Pro A9X chip is 1.8 times faster than the one in the iPad Air 2, which if it follows the boost on the iPhone 6S, should handily outperform all versions of the new MacBook. After all, the company consistently compared the Pro to desktops and laptops during its announcement, and even demoed it editing three 4k videos simultaneously. Though Tim Cook says he doesn’t see the MacBook going away anytime soon, if your laptop and iPad Pro can do the same kinds of things, there’s no reason to believe Apple wouldn’t prefer pushing the devices it has more hardware control over. In any case, one thing’s clear: you won’t be left wanting for performance with the new iPhone.